POSEIDON EDITION units combine core components from BAUER KOMPRESSOREN in uncompromising quality whose ability to perform is beyond doubt with equipment that has been optimised for its intended purpose. The familiar durability, high safety and clean air quality conforming to international norms and standards naturally also comes as part of the package. The PE-TE/PE-TB breathing air compressor series strikes a particularly good balance between price and free air delivery. 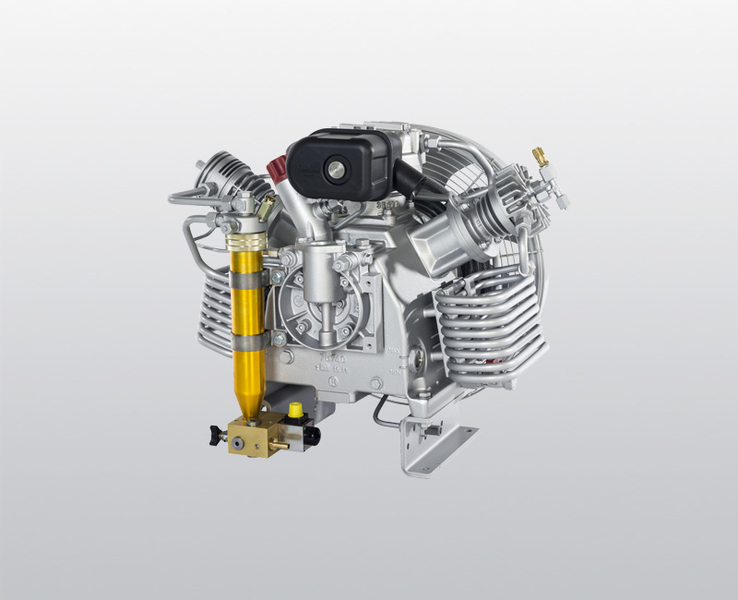 Their integrated oil pump supports angles of inclination of up to 15 degrees, making this series of units particularly suitable for use on ships or for installation in vehicles. Thanks to their compact dimensions, the units are very easy to transport and will fit into the boot space of many cars. 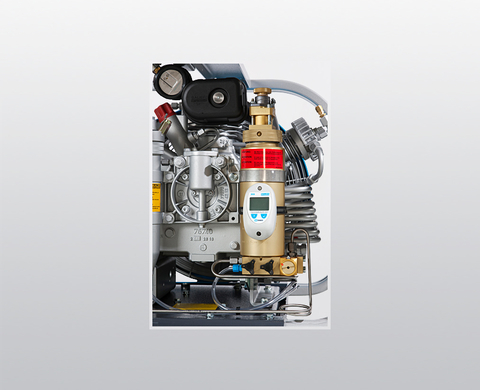 The mobile compressors of the POSEIDON EDITION are available as electrical (PE-TE) and gasoline (PE-TB) versions. Bauer has been manufacturing high pressure compressors for over 70 years. Bauer has earned its reputation as the world's foremost innovative designer and manufacturer of high pressure compressors and purification systems. The customers of Bauer compressors are using the highest standard in e.g. military, offshore and diving applications wherever and whenever reliable, ultra-pure breathing air is required to maintain safety. 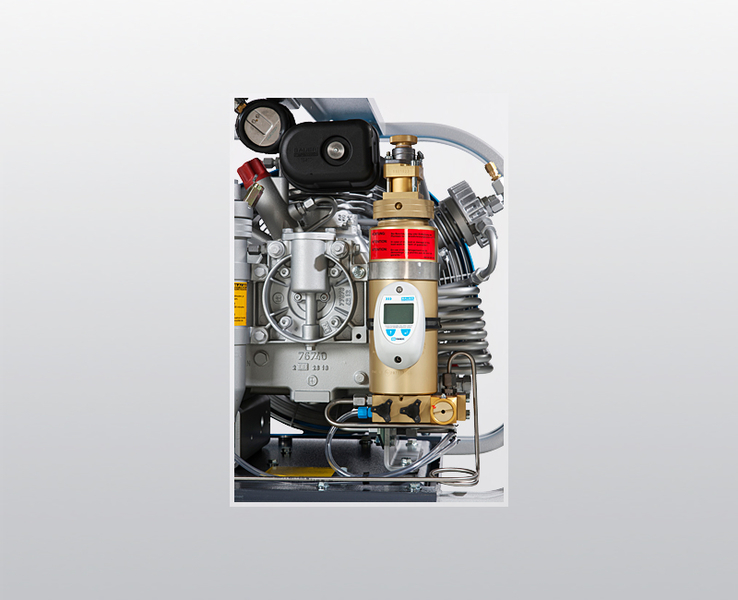 The BAUER IK 120 series compressor block has been designed for the most demanding professional applications. Dimensioned for more than 30,000 operating hours, it has proven its worth in thousands of application scenarios. 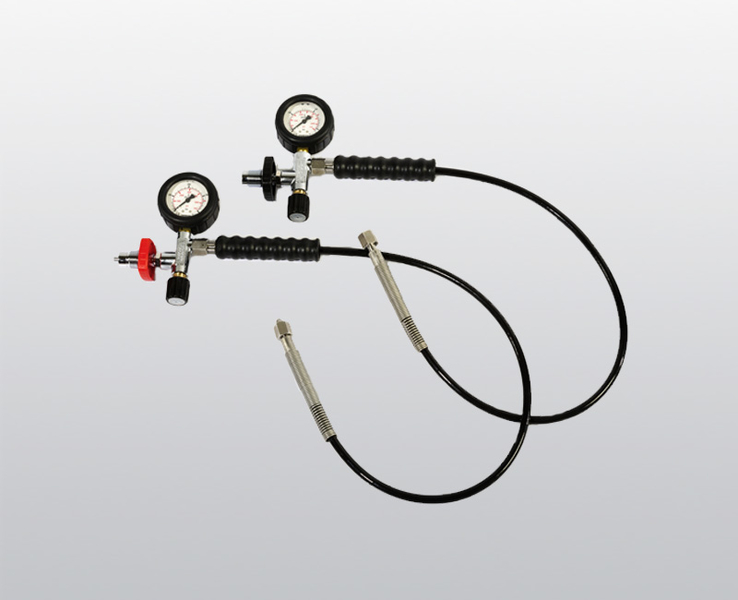 The filling device comprises a flexible “UNIMAM” high-pressure filling hose and filling valve complete with final pressure gauge. 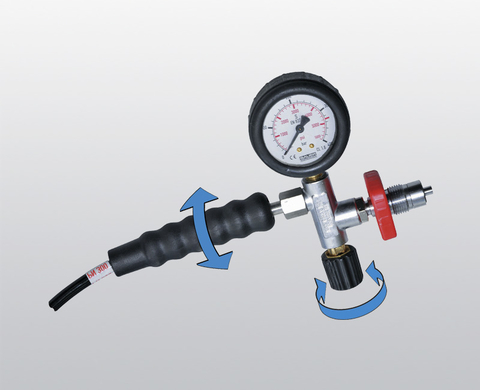 The final pressure gauge makes it easy to read off the filling pressure. It is protected against damage by a durable rubber jacket.